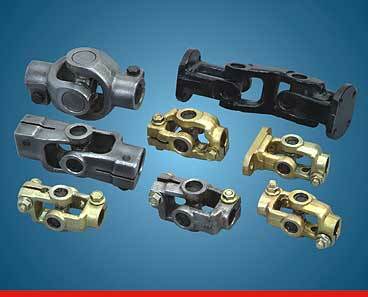 Sheller serves the automobile industry with a complete range of steering cross assemblies and automobile steering assemblies. These shaft assemblies and drive shaft assemblies are developed for a variety of steering and shift linkage applications resulting in steering cross assemblies. Specialized in the OEM and custom designs, Sheller's products are used in various applications right from passenger cars to transportation vehicles. 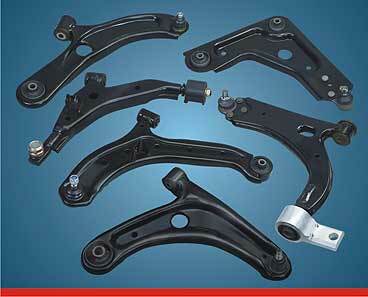 We manufacture a broad range of stamped parts for automobiles right from single prototype to high volumes of goods. The major products are chassis supports, suspension frames, support panels, floor/roof reinforcements, cross members, sheet metal components, exhaust pipe ends, etc. In-house die design and building facility ensure accurate designing of clients' drawing and specifications. This precision manufacturing covers a complete range of sizes, thickness, draws and diameters. Also, the stamped parts are produced using a wide variety of metals.